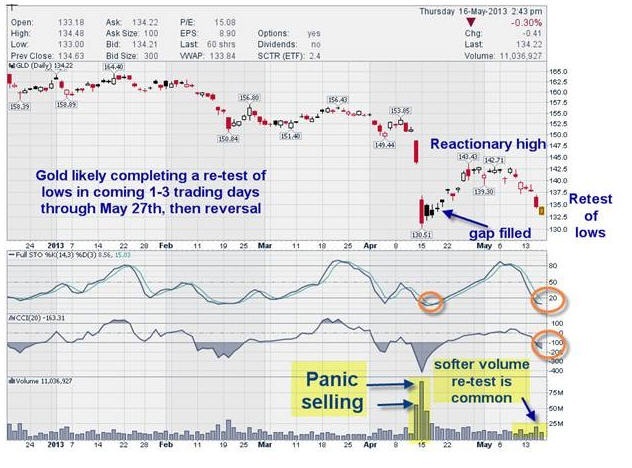 Gold Stocks: It's Time To Be BRAVE! I used to half joke with some of my investing friends that the best time to buy stocks is during or right after a crash. 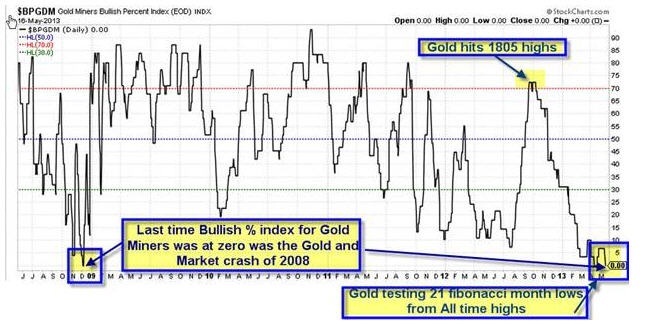 Think 1987, 2000-2002, 2008-09, and now perhaps Gold Miners?? Well, before we get too far ahead of ourselves, let’s examine evidence of a “Crash”: I like to use crowd behavioral, empirical, and technical evidence in combination. 1. In a recent money managers poll, virtually nobody was bullish on Gold or Gold stocks, and over 80% of those polled were bullish on the SP 500 and US stocks. 2. The percentage of Dumb Money traders (non-reportable traders) in the futures markets with short positions on Gold is at all-time highs, they tend to be very long at the highs and very short at the lows. 5. Most trading message boards I view at Stocktwits and others are universally bearish on Gold and Gold stocks. 6. Gold is in a wave B or Wave 5 down re-testing the 1322 lows which we have discussed here for weeks as very likely if 1470 was not taken out on the upside… this is a normal sentiment pattern and re-test. 7. Gold has been in a 21 Fibonacci month correction pattern off a 34 Fibonacci month rally from 686-1923. In August of 2011 I penned articles from 1805 right up to 1900 warning of a massive wave 3 top forming. Everyone was bullish, now it’s the complete opposite. I could go on and on with headlines and such, but you get the idea. This is the same type of sentiment I wrote about on the stock market on Feb 25th 2009, and nobody on the planet was bullish. Obviously, Gold could end up going a lot lower than we think, and the Gold Mining stocks could sink further yet. But for those with a 3-6 month horizon, we expect the 21-24 month Gold correction to complete by no later than October 2013. During the next several months the opportunities to buy some miners on the cheap will potentially make some investors a lot of money in the coming few years. Join us at www.markettrendforecast.com for occasional free reports or sign up for our daily updates on the S&P500 and Precious Metals.